I remember the day that I caught the history bug and developed an interest in learning more about Miami’s history. There was a lot I didn’t know about the history of the city in which I lived, but I did know that my family had gone back a few generations living in Miami. Both of my parents were born and raised in Miami. One of my grandparents was born and raised in Miami and the three others had moved to Miami prior to 1940. I can even say that two of my great grandparents arrived in Miami in the very early 1900s. I was also born in Miami and had always been curious about the place I have always called home. Dr. Paul George conducting a tour of Miami. So, it was only natural that when I met Dr. Paul George on a free tour for Flagler Street Days in January of 2011, I had a lot of questions for him. Prior to this tour, I had only known of Paul by reputation. I had a couple of friends that had taken his Miami River Tour and they had a lot of good things to say about the “ultra-friendly tour guide”. If you have ever attended one of Paul’s tours, you would be familiar with his calling card when he introduces himself and the tour. While I was peppering Paul with questions on that beautiful January afternoon, he stopped me and suggested that I take his South Florida History Class. The class had already started, but he suggested that I audit the class and see how I like it. It had been a while since I had taken a college course, but I thought it couldn’t hurt to go back to school and get some of my questions answered. As I audited the spring semester of the South Florida History Class, I was pleasantly surprised that the class was half lecture and half tours of the Miami area. I really got to appreciate learning history in context. There really isn’t a better teaching approach than to stand where the stories were made and to hear a true raconteur bring the past to the present. Miami History Class. Click on picture for details of the class. I was so fascinated by what I didn’t know about Miami’s history that I chose to enroll and officially take the South Florida History class the following fall semester. We walked Flagler Street and talked about downtown during the early years following incorporation through the peak years of the 1940s and 1950s. 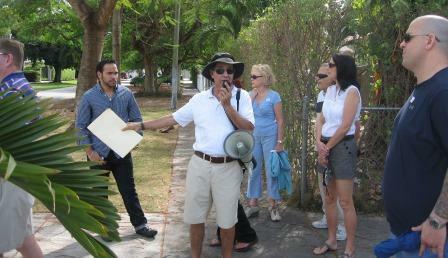 We traveled to the Miami City Cemetery and talked about all the founders of Miami and their stories. We walked the Brickell neighborhood and got a sense of this community before it started to become the Manhattan of the South. There were many more tours. The lectures complemented to the tours and the tours brought the lectures to life. Anyone who has taken the South Florida History Class will attest that it is not only informational but very entertaining. Paul will be teaching this class just a few more times at the Miami Dade College Wolfson Campus before he retires in the coming years. Whether you are currently a student at Miami Dade College or just someone who likes to learn about local history, I would encourage you to consider enrolling and taking this course. When I chose to audit the South Florida History Class back in the spring of 2011, I wanted answers to some questions that I began asking Paul during his Flagler Street Days tour. What I didn’t bargain for was how much more I would learn and how much more interested I would become in Miami’s history. 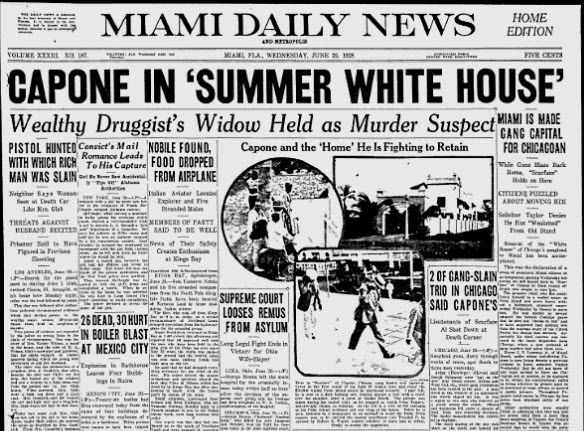 While we all have our stories on why we become interested in anything, the day that I caught the bug for Miami History began when I discovered the South Florida (Miami) History Course. I still remain in contact with a number of the other students that I met in this class. 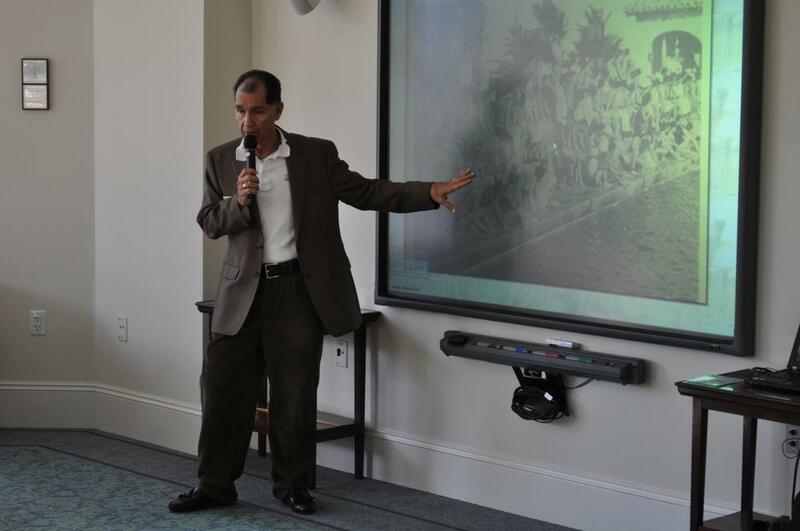 The South Florida History course became more than just a college class. 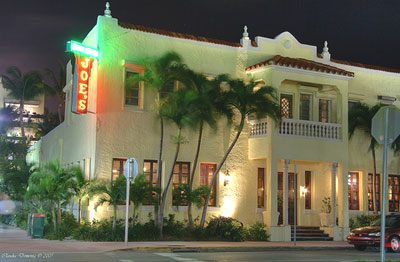 It developed into a community of common interest for Miami History. 5 Comments on "Miami History by Dr. Paul George at Miami Dade College"
This is a class I know I would enjoy! I took this class the year of our city’s centennial. It was so wonderful! We had to write a paper relevant to Miami’s history. I wrote about the early history of Miami’s Jewish community and Paul got it published in South Florida History Magazine! I had so much fun in that class! I would like to know if Dr Paul George is still teaching the history of Miami course. My great grandfather worked for Henry Flagler as a finish carpenter on the Royal Palm Hotel. Like Flagler, he came to Miami after the freeze. He had developed a lumber mill in Sumpter County. He developed a crate to ship citrus in on the Flagler railroad when the freeze hit and destroyed the citrus industry that year. He came on the first passenger train into Miami. Our family helped build Miami. 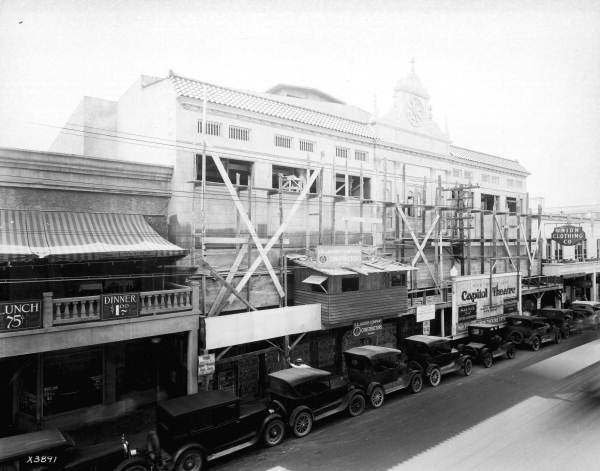 After my great grandfather worked for Henry Flagler he bought a lumber mill downtown. Ramsey Lumber Co. built furniture, some of which was bought by the Deerings. The beautiful mahogany in First Presbyterian Church came from the family. I am sorry to say that my family did not write down or preserve its place in Miami history. They were a hard working family who went through the hardships of war, hurricanes, depression to keep their business going. My grandfather, John David Ramsey dedicated his life to Miami and was respected by all who knew him. At this late date in my life I feel compelled to learn about Miami history so I can at least orally pass it on to my grandchildren. 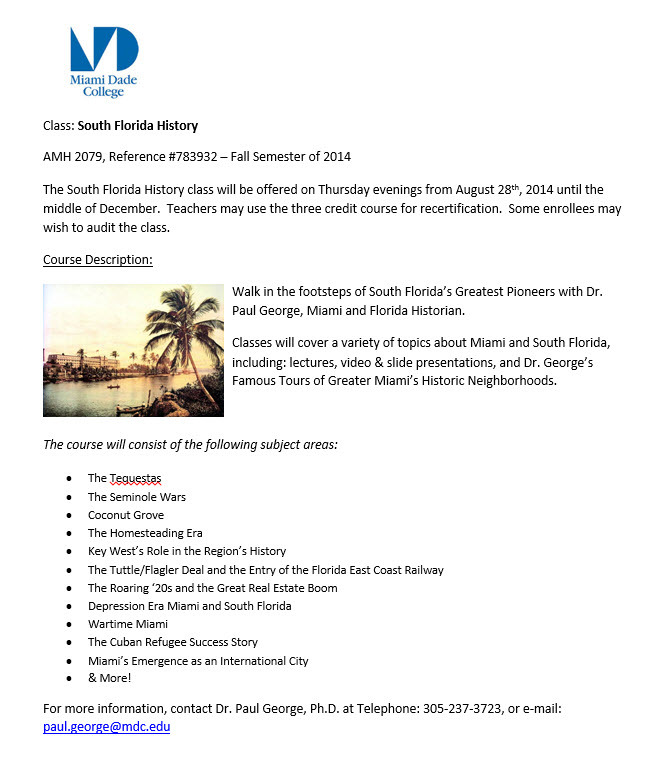 Vivian – Yes, Dr. George is still offering his Miami History class. He will be offering it two more times at Miami-Dade College after this semester. Your family’s story sounds very interesting.